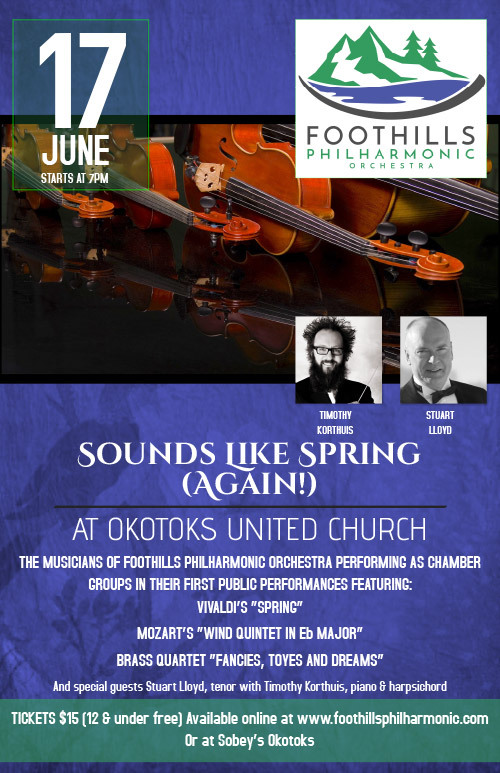 The Foothills Philharmonic Orchestra will be performing in their first performances, featuring guest soloist Mr. Stuart Lloyd and pianist Timothy Korthuis. Featured music includes Antonio Vivaldi’s Spring, Mozart’s Wind Quintet in E♭ major, and our brass quartet bringing Giles Farnaby’s Fancies, Toyes and Dreams. Save $5: if you attended our June 10th concert, save $5 towards your ticket for our June 17th concert!